I've got a problem. For a while now I've been following Chris Schwarz's blog, both at Popular Woodworking and Lost Arts Press. I love his book The Anarchist's Tool Chest, but one of his philosophies causes a bit of a problem for me. One advantage he gives in favour of using a chest to store your tools is that the limited space accommodates a limited number of tools. He sees this as a good thing because it encourages what he calls "tool monogamy". So here's where I have a problem: the idea of tool monogamy resonates with me on one level, but on another level I hate it. Axes are a good example of this for me. Now I know that compared to some my axe collection is paltry, but I have to admit that I have more than I need. 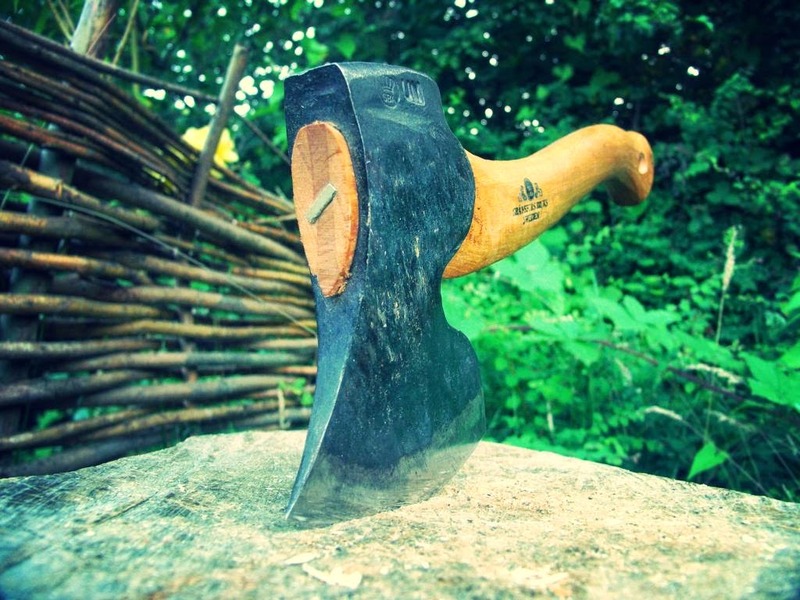 Some of them serve different functions, such as my splitting maul, some have different grinds or weights and are therefore justifiable, but some of them have very similar specifications and uses and in addition to this I want more. Now the idea behind tool monogamy is that you don't have two tools that fulfil the same purpose. there are several benefits to this aside from the obvious one of saving space and money. If I only have one carving hatchet, then I only have one to maintain and keep sharp. Staying faithful also means that I learn how to use that particular tool better and over time it becomes like an extension of my arm. Beyond the practical it also means that I develop a relationship with that tool. 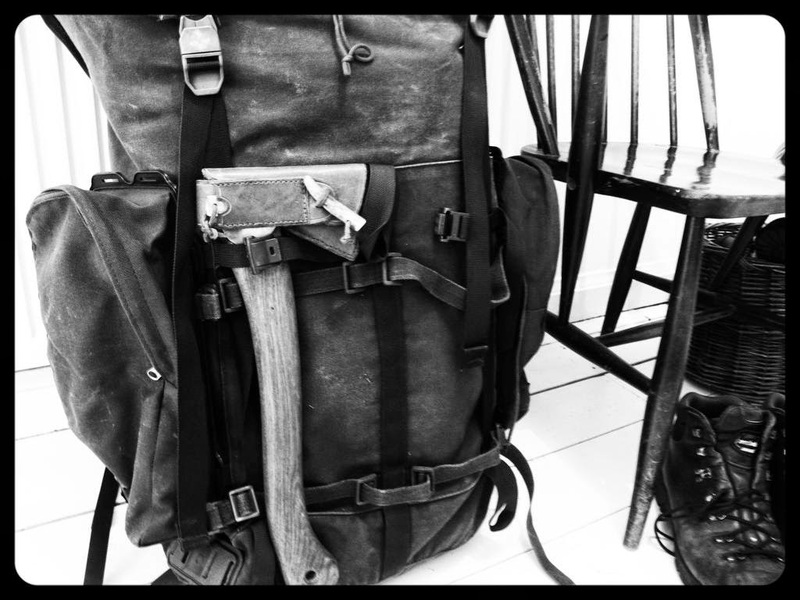 It comes with me on all of my adventures and works in partnership with me on everything I create. I know that sounds a bit romantic, but I think anybody that would be reading this blog (unless they came across it by accident) can appreciate a little romanticism. But despite all of this I'm still not ready to give up any of my axes. Romanticism is rarely practical and my relationship with my tools is not a practical one either. It is not about need. I thought about this when someone posted on a Facebook forum about spoon carving, looking for advice on the purchase of a new axe. Several of the respondents tried to talk him out of it saying that he didn't need to buy a new axe. It was clear to me that the enquirer wanted to buy one whether he needed to or not. It seemed strange to me (I hope this doesn't get controversial) that a group of people making and selling wooden spoons tried to talk someone out of a purchase on the basis of necessity Who needs to buy a wooden spoon? I love wooden spoons and use them all of the time, I don't need them and they don't fulfil a purpose that my old metal spoons didn't, but I do enjoy them and feel that my eating experience is enhanced by them. I apply the same thinking to my tools. I enjoy using them and they enhance my experience.. The matter of cost isn't straight forward either. I am very fortunate to have disposable income and I use that money to do things that bring me pleasure. I know some people would scoff at the amount of money I might spend on an axe, but wouldn't think twice about spending the same on a weekends revelry. Most of the axes I buy are made by individual craftsmen and some have a waiting list. this means that with the proper amount of care there will be very little depreciation in value, in fact some are worth more than I paid for them. The jury is out however. I definitely like the idea of applying tool monogamy to certain things, especially the bit about building a better relationship through fidelity to that one tool, but if I'm honest I can see my carving tools growing rather than diminishing. I think I might have a problem. I totally understand Julian. Despite several resolutions to just keep to a small number of tools, and become expert in using them, my eyes are often turned. Part of it is that Iike you, teaching takes up a huge amount of time, there are weekends I would have loved to spend time carving, but commitments of work won't allow it- but I could buy a new knife or axe. For me it can be a very poor substitute to using the tools I already have. 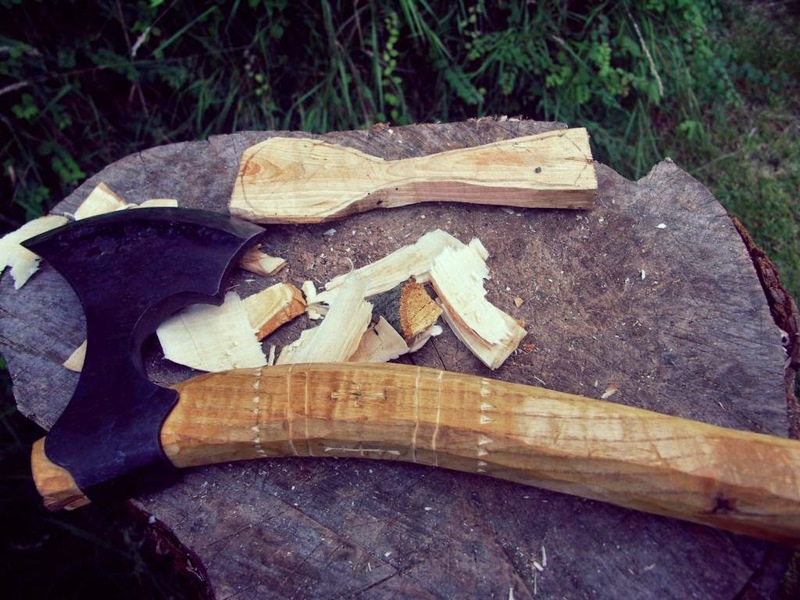 I don't really need that new axe, my wife often remins me of that, but I haven't got the time to spend developing my skills. So I totally understand. That is something I've thought about before i.e. the acquisition of tools being a form of engaging in the hobby. I should note though that skill is always more important than the tools, but i think we all know that. I guess what it boils down to is that collecting tools is for some of us a part of the hobby and if it makes us happy, then it's OK. I have a lot of axes, but then again I teach and sometimes sell axes. I always come back to 2 axes, both kent patten Whitehouse's. These are different sizes and weights and are all I need for most of my work. Tool buying is a substitution for skill, if I buy this new and expensive tool then I can do better work. Tool buying is also about status and I see this with especially bush crafters and now more so with green woodworkers. I like the point made about not having time to make and tool buying being a substitution for making. It can be easy to be obsessed about the tools rather than the process of making. After travelling in India it reminded me that it is skill and technique, rather than the tool, that is important. Give an experienced craftsman any tool and they will be able to create a masterpiece.But then again I think collecting and hoarding stuff is a natural trait for a lot of us, we now have the means to do it with our affluent western lifestyle. I probably should have put something in the original post about tool buying not being a substitute for skill. You're absolutely right on that point Sean. In a way we're looking at two different hobbies that crossover. This is something that has been rattling away at the back of my mind for a while, but I couldn't quite articulate it until I read your article. I know I lust after new tools, and have several several sloyd knives when one would probably do. There's definitely a balance between finding the right tool for the job and buying tools to compensate for a lack of skill (I know that I don't like the mora 120, but the recent Svante Djarv knife I bought doesn't do anything more than the mora 106 I already had). I know that Jon Mac hollows out some amazing cups and bowls with just a crook knife, but having done that a few times before getting an adze I don't think I'll want to go back. So for relative beginners to carving, getting tools is part of the learning process. 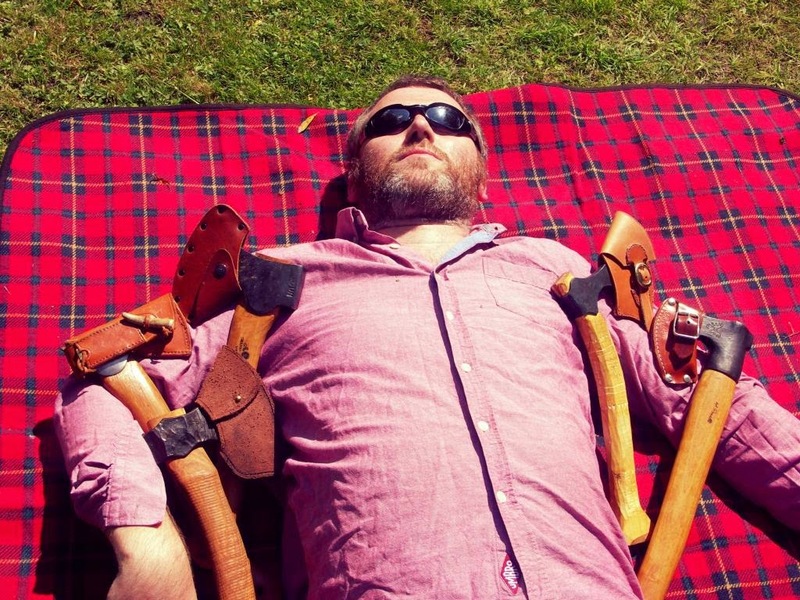 While Sean regularly uses just two axes, it's through trying a wide range of them that he's been able to decide that they're the best for his needs. It's a pity that opportunities to properly try different tools are few and far between, but green woodworking, despite its recent surge in popularity, is still a fringe activity. I would also warn against buying tools if you think doing so makes you happy, as the happiness we tend to get from new purchases doesn't last. You're more likely to be happier in the long run if you master the tool you've got. That was a bit of a rant! I think I'll go away and ponder this a bit more. Thanks for firing up the brain cells on this one Julian. The point about buying things not making us happy is something that I've thought about for a long time Thomas. I didn't talk about it in the original post as I think that it would have turned into a book. I try not to go down that road (the one of looking for happiness in my next purchase) though I confess it can be tempting. Part of my original point though is that buying tools is like buying wooden spoons or clothes or records or whatever it is that makes us happy. As Sean pointed out, those of us that are fortunate to have a disposable income tend towards consumerism and this trait has infiltrated our hobby. 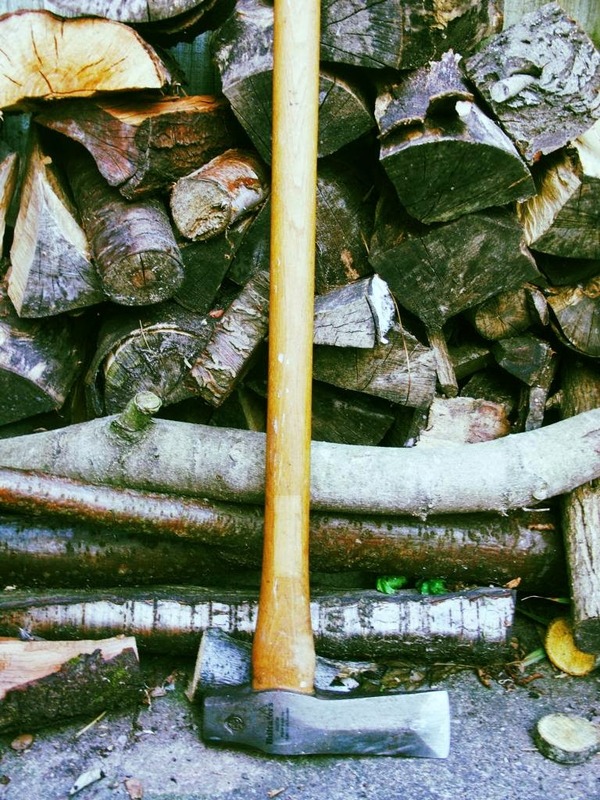 If Sean could put the link up of the craftsman making a wooden shovel with just one large axe, it demonstrates that some of us have too many tools and not enough developed skill. I hope I'm not creating a schism here. 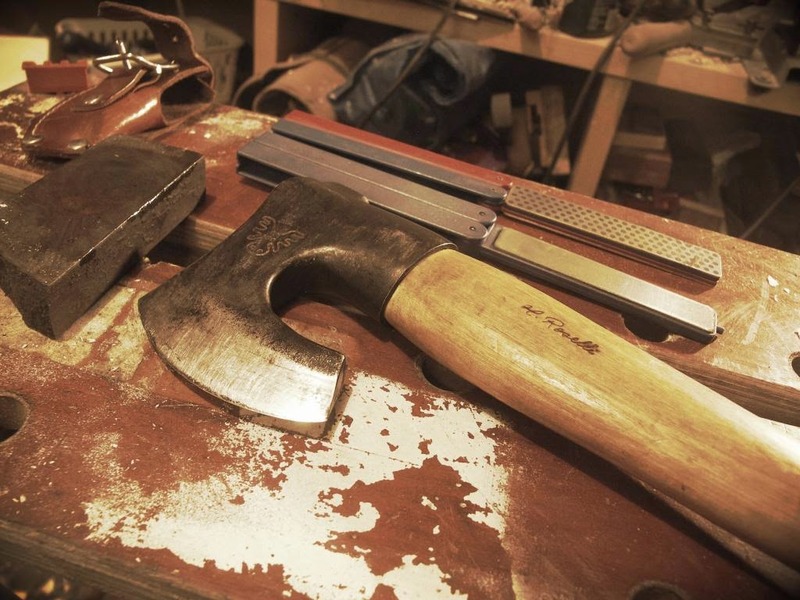 There doesn't have to be a choice between more tools or more skills and though we can all agree that you don't need lots of fancy tools to create fancy work, it doesn't follow that if you have lots of fancy tools you're sacrificing skill. ... where they sell the tackle! No offence taken whatsoever. Thanks for commenting. it's great to have a discussion like this. So I won't be banned from your stall then? I am terrible for thinking that I cannot undertake an activity without first buying the kit that goes with it - I couldn't take up squash with just a racquet, I'd need the right shorts, tshirt, trainers, sweatbands, etc first. And then I'd probably only play once and never use that stuff again knowing this about myself, I have tried really hard to show some restraint when it has come to tools for green woodworking, leather working, etc. 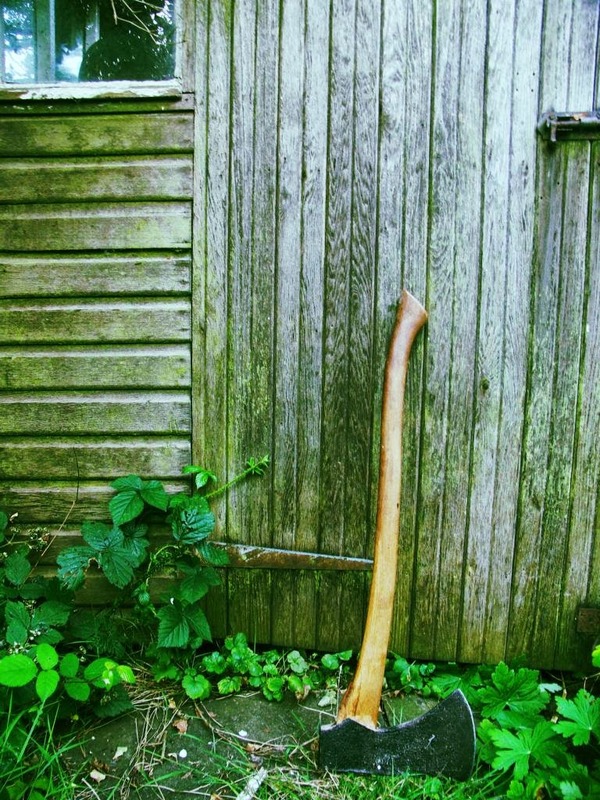 however, one thing that I do fall foul of (as I know you do to, Julian) is car boot sales, etc - I can't walk away from a Kent pattern axe, for instance, for just £1, even though another axe., or spoke shave, or oil stone, or draw knife, is the last thing I need. Equally, I love the idea of the hands that have previously held these old tools, of the jobs they may have done, of the lives they have touched, of the person that may have loved, cared for and utilised these tools before me.